Stone Crop Facial by Eminence! 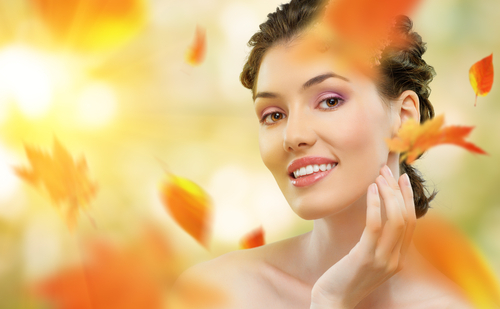 September is almost here and we are ready to help get your skin ready for Fall with September’s Stone Crop Facial of the Month by Eminence! We will start this facial with the Award Winning Stone Crop Facial Cleanser to help regenerate, firm and moisturize stressed skin. While you enjoy the warm steam, we will exfoliate and invigorate your skin using the Stone Crop Fizzofoliant Treatment; this will remove impurities and reveal brighter skin using its light fizzing action. This detoxifying treatment uses a potent blend of Microgreens that protects against the drying effects of the environment and leaves you feeling brighter and smoother – perfect step to do prior to cleaning out your pores!! Now, it is masque time! Experience the benefits of the Swiss green apple cells, argon oil, chicory root (natural retinol alternative), stone crop and many antioxidants as we layer the Stone Crop and Bamboo Age Corrective Masque on your skin. While you soak that in, the Stone Crop Body Moisturizer will be used to massage your arms, hands and neck. Prior to applying the Stone Crop Moisturizer emulsified with the Stone Crop Hydrating Mist, we will apply a thin layer of the Eight Greens Serum that will treat the visible signs of aging with active ingredients such as the chasteberry flax seed extract. You will leave feeling refreshed, relaxed and ready to start the new season…all for just $70! Updated Special Days in August!